The Multi-functional picnic mat, it's made of 210D oxford cloth. It can be folded, folded up after use, put in a bag or pocket, easy to carry. 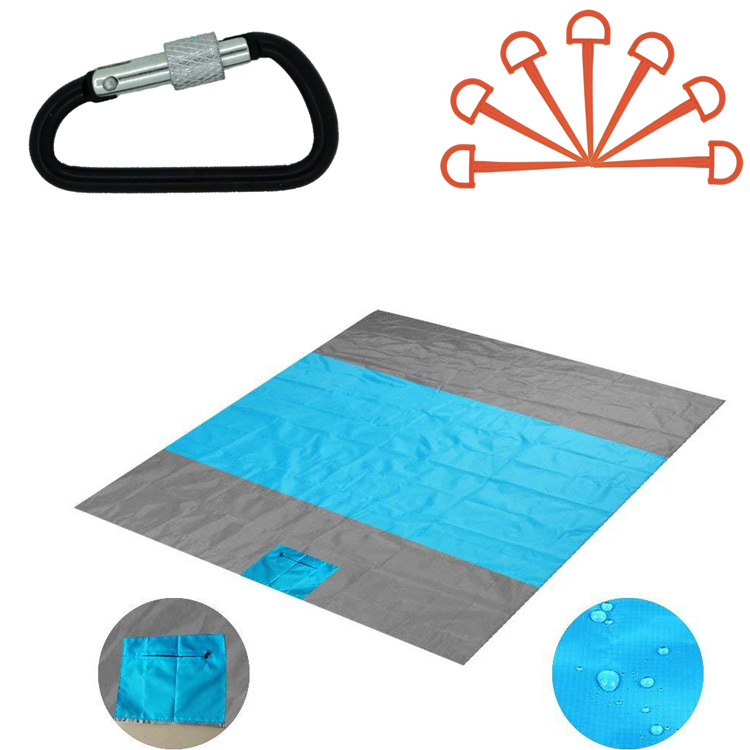 It is moistureproof and waterproof, so besides being used as a picnic mat, it can also be used as a beach mat. 78 3/4"L x 78 3/4"W. This set contains 4 nails and 1 climbing buckle, so don't worry about the cushion being too big and inconvenient. This is a great promotional gift. We can print your logo to promote your brand image. Package: 1 pc/opp bag, 36 pcs/ctn, 44 lbs/ctn.